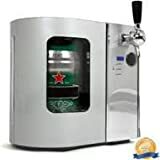 A beer dispenser is a godsend for us guys who want to watch a football game from home, with friends gathered around the living room couch! Ah, that is a lovely picture, isn’t it? 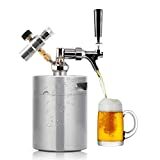 A mini keg dispensed is smaller, affordable, easy to store kegerator or kegorator (yes, those are words now) that many people are using nowadays. For anyone that might not know what this is, it’s simple: it’s a tap, hose, fridge, drill, faucet, the CO2 tank, a CO2 regulator and the detachable keg. Some choose to make their own, but they are so inexpensive that you shouldn’t even waste your time on this. I’ve dabbled into making my own kegorator but after 30 minutes of work I just realized I’m just not meant to built one myself and that I just prefer drinking cold beer from a great looking keg dispenser like KRUPS and HEINEKEN B100 BeerTender with Heineken Draught Keg Technology that could be at my door in the next 24-48 hours. So, I just placed an order and guess what? Waiting for this little baby was the hardest thing I had to do in a while. Will it get here safely? Will the guys like it? Can it keep my beer as cool as I want it to? Will it be enough for the game? I was just like a teenage father running around the house! Then the doorbell rang and there it was, just waiting to be filled with beer… Ahh… I think the guy who delivered it was shocked to see me cry when I got it – what, haven’t you seen a grown man cry when first seeing his keg dispenser the first time? Oh, the memories! Anyway, I got it and I’m very happy with my purchase and for the money this is probably the best mini keg dispenser for the money, period. Nonetheless, there are some models out there that are also interesting and I thought I would mention them here, just because, well we all like different things and maybe you fancy another model, eh? Also a thing to note is that when you’ll look at the reviews for any of these models, there will always be people that disliked them for some reason. Does this mean a model is bad? I don’t think so, it’s just that according to how much you pay for it, you usually get what you paid for and of course, there are those people that just had a bad experience. This can happen with any model out there. Please know that you should clean your machine after each party to extend its lifetime and drink a better, tastier beer! This is an entry level machine that will get you warmed up for the next 1-2 years. Once you learn the ropes you can switch to a more expensive model but as a beginner I recommend you get this model. 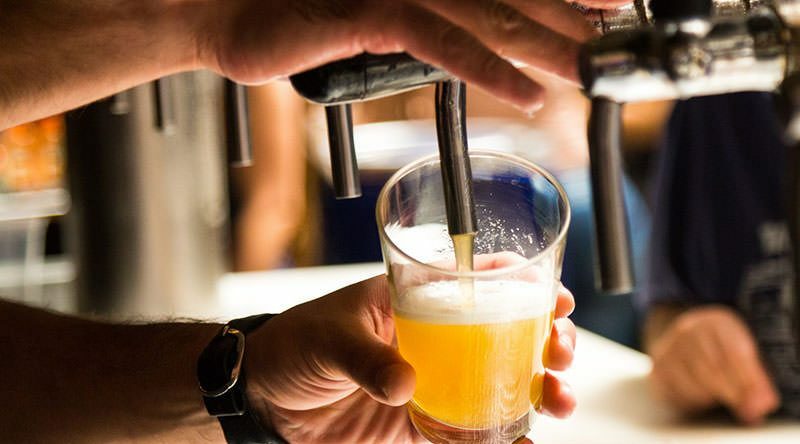 Now, don’t be scared about what they say – that this model can only be used with Newcastle and Heineken beer – you can use a relatively easy hack to increase the range of beers you can use with it. More on that below. If you don’t like Heineken or Newcastle beer you will have to use the little hack which takes a bit of work. All you need to do is get this Tap Conversion Kit that lets you use any 5-liter mini kegs so problem solved! But, this will almost surely void the warranty so be ready for this – at such a low price this was not a problem for me but it’s good to know. This min keg dispenses needs to be pre-chilled at least 9-10 hours before use. The tubes are solely for this model and can be a bit on the expensive side. There have been reviews from people that say their keg died after or near 12 months of use. Now we don’t know how much they’ve used it or how they took care of it, but if you can get the extra warranty (where applicable) just to be on the safe side. I didn’t get it and I’ve had my keg for 2 years without any problems but I do take good care of it so that might have helped prolonged its life. You can’t use this for a keg-stand – yeah I know, what a bummer – it’s quite lightweight. With those out of the way, let’s get to the juicy part, the positives of this model! 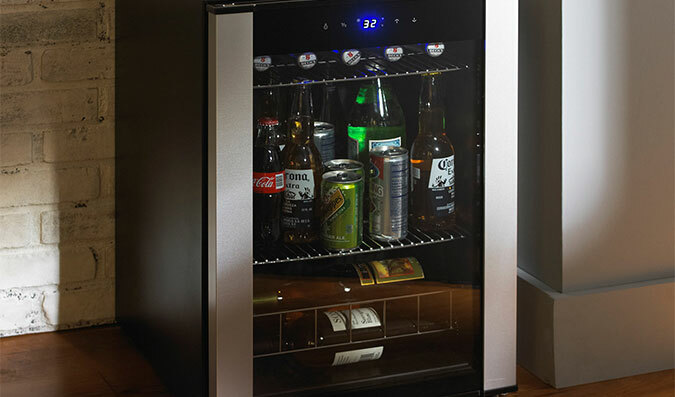 Keeps the beer nice and cold at the best temperature: 37.4 degrees Fahrenheit! With this model you can get some nice keg specials at booze stores like BevMo, etc. It’s easy and inexpensive to run. Because it is made to work just with Heineken and Newcastle beer, you will get the best taste possible! As it’s lightweight you can easily take it with you when there’s a party at a friend’s house! It can keep beer fresh for as many as 30 days after tapping! I don’t recommend this as you should clean it after each party to keep it “happy” and give it a longer life. The unit is very small and can fit pretty much anywhere. It’s very quiet while running and it has an efficient cooling system that does its job. It currently has a 2 year warranty which is plenty for such a cheap model. 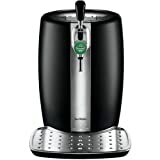 For me personally, this is without doubt the best entry level keg dispenser on the market. This is a great option to consider because it looks great sitting on your kitchen counter. And though it is not my favorite of all the available models, I do really enjoy the design of this one. Plus, it has a low price at Bed Bath & Beyond, which makes it an affordable mini kegerator for your home. Before you rush off to buy this cute mini keg dispenser, let me share with you some of the positives and negatives of its features. This will help you make certain it is the best choice for you. You need to use it a few times to get the hang of it. Maintenance and add-ons will require you spend some good cash on them. Limited to Heineken Lite, Heineken and Newcastle Brown Ale. 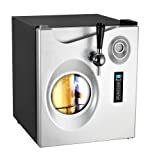 Temperature can range from 38 to 54 degrees F.
Another entry level keg dispenser which is bigger and can hold 2 kegs – most people buy it solely based on this criteria. Overall, it is a pretty solid choice with an affordable price for the money. And, it has a sleeker look than the other models. So if you want something that looks more luxury or that your lady won’t mind seeing on the kitchen counter, then this is a great choice. But, let me also share some of its other features with you. This kegerator is noisy so it should be kept in the kitchen (preferably). The regulator is cheap so… and the unit overall does look cheap (for the money you pay for it) at a closer inspection. The narrow tube size makes it hard and time consuming to pour – it will take about a minute to fill a standard pint glass. Like I said, it can hold 2 kegs which means the party can go on ‘til morning! You can use it for a range of kegs – you need to check the packaging and see what is currently supported as they often update this. Keeps beer in its optimal state for a long time even if the keg is almost empty. Price: not as cheap as some of the models, so it is more of a high end option. For this price I was expecting a better keg dispenser. So, which one is the best mini keg dispenser in your opinion? 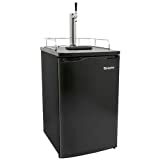 For me, it’s the KRUPS and HEINEKEN B100 BeerTender with Heineken Draught Keg Technology,Black because it offers the best quality for its price. But I can only get Newcastle and Heineken in the 5L kegs! Any idea where to get other beers? I’m trying to decide if one of these is a good buy for my kitchen. Can anyone comment who has bought one?